One of the biggest barriers that travelers face in this day and age is being able to communicate with the locals when they travel. I’ve visited over 115 countries and I speak French but there is no way I could learn all the languages of the world. That’s why I was excited to reveiw the Langogo AI language translating device. No matter where you go, they’ve got 60+ languages covered!! Instant translation tool with 60 built-in languages! And Al powered conversational system tells you local weathers, travels tips, navigation and more! Free Shipping! Built-in Wifi! What are some qualities of the best language translator device? Langogo is a handheld device that translates speech to speech between 60 languages in less than 1 second. It integrates cutting-edge Neural Machine Translation, E-Sim Technology and AI assistance to enhance AI translations and assistant capabilities, offering you a worry-free travel experience. Should you buy a global language translation such as Langogo? I would say yes. The ease of use of this device, plus the sheer number of languages covered make it worth your time. 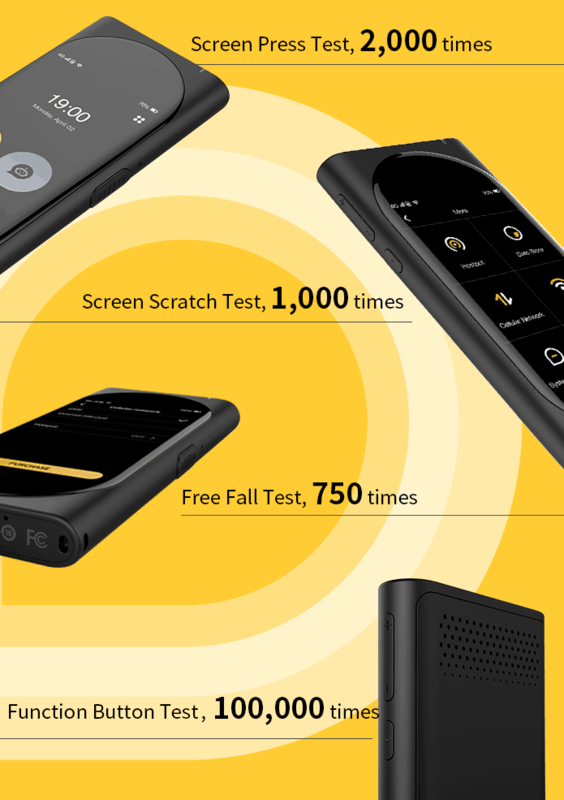 This device translates quickly and accurately on the spot from any of the 60 languages to English. Just press the button, speak, and wait a second for the device to translate into the language selected. It not only speaks the language but it also has the statement written out in the language you chose on the screen. This device connects easily to wifi and then you’re set to just use on the go. I will be taking it with me on my trip from Gibraltar to Cape Town next month! *I was gifted the Langogo AI translator to review, but all opinions are my own. Also, there’s a probability that this post contains affiliate links. If you happen to click one of them, I may receive a small commission at no extra cost to you. And I’d be incredibly grateful that you did.